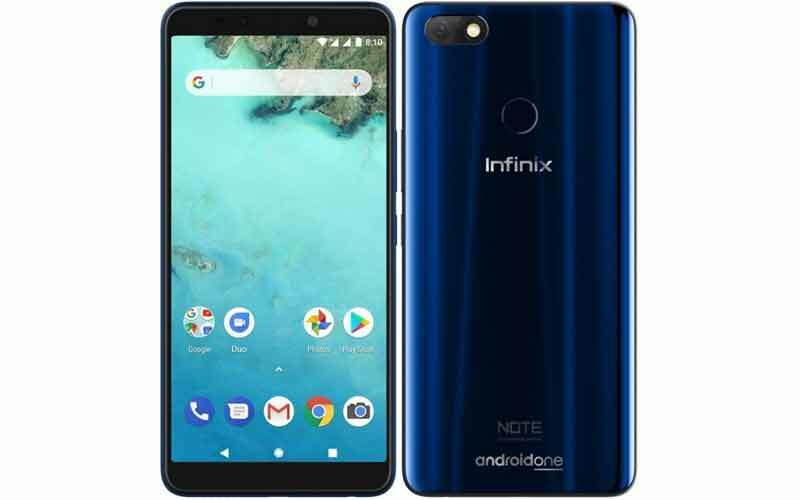 The Transsion Holdings owned Infinix, has launched a new smartphone called Infinix Note 5. It is the successor of the last year’s Infinix Note 4, and the new smartphone is based on Android One. So, let’s check out the specification, pricing, and availability of the device. The Infinix Note 5 sports 5.99 inch display with 2.5 curved glass on top and has 2160 X 1080 pixels resolution along with 18:9 aspect ratio. The smartphone is powered by 2.0 GHz octa-core Helio P23 processor and paired with 3/4 GB RAM. The device will have two storage variants – 3 GB RAM with 32 GB internal storage and 4 GB RAM with 64 GB of storage, and it can be expandable upto 128 via microSD card. Moving to the photography department, the device has a 12 megapixel rear camera with f/2.0 aperture, 1.2 μm pixel size, AI Portrait Mode, AI Scene Recognition and dual LED flash, along with a 16 megapixel with f/2.0 aperture, 5P lens, AI Bokeh, AI Beauty and Flash. Moreover, the device has the fingerprint scanner for the additional layer of security. The device also features the Google Lens to help the users to find the things quickly. It supports Dual 4G VoLTE, GPS, Bluetooth 4.2, Wi-Fi 802.11 a/b/g/n, 3.5 mm headphone jack, and micro USB. The device runs on Android Oreo 8.1, and as I mentioned above, it is based on Android One which means the users of the device will get regular Android updates. Finally, the smartphone ships on 4,500 mAh battery with 18W Fast Charging and AI Power Management. Speaking about the pricing and availability, the 3 GB RAM variant is priced at ₹9,999 and the 4 GB RAM variant has the price tag of ₹11,999. The device will be available exclusively via Flipkart and the device will available for purchase on August 31 onwards. @2019 Android Den. All Right Reserved.